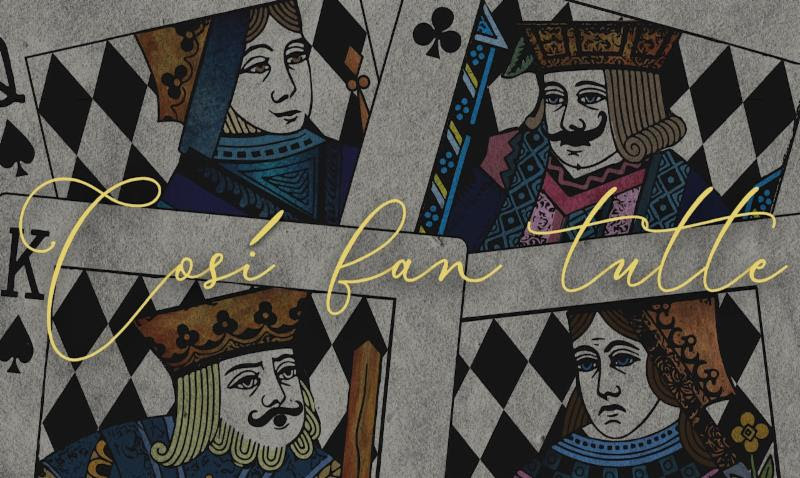 Light Opera of New Jersey continues its 24th Season of operetta and musical theatre with a production of Wolfgang Amadeus Mozart's Così fan tutte directed by Dorothy Danner with musical direction by Jason Tramm. April 12 and April 13, 2019 at St. Mark's Episcopal Church, 140 South Finley Avenue, Basking Ridge, NJ 07920. Tickets at https://lightoperaofnewjersey.org/tickets/ or by calling 908-903-0700.